JKPSC CCE Mains Hall Ticket 2018 : Jammu and Kashmir Public Service Commission (JKPSC) has scheduled the Combined Competitive Exam (CCE) examination on 2nd and 6th of July. Many of the hopefuls applied for JKPSC Junior Scale of Administrative Service, Police (Gazetted) Service, Accounts (Gazetted) Service pots are going to appear for the JKPSC CCE examination as per the scheduled dates. Candidates who are going to appear for the JKPSC CCE examination can download JKPSC CCE hall ticket before proceeding for the examination. The hall ticket will be shortly accessible on the official website, jkpsc.nic.in. applicants can get their admit cards to appear for the test. Hall ticket verification will be done at the examination centre. Candidates have to show their respective admit cards at the time of verification. Otherwise, they will not be allowed to appear for the test. 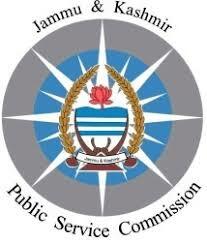 JKPSC CCE Admit Card 2018 :Jammu and Kashmir Public Service Commission is the state level government board that monitors various state-level works. The JKPSC annually releases various job notifications to hire the suitable aspirants into various jobs. Recently JKPSC has announced notification for 277 Junior Scale of Administrative Service, Police (Gazetted) Service, Accounts (Gazetted) Service. Candidates will be shortlisted through the preliminary exam, mains exam, and interview rounds. The CCE (Combined Competitive Exam) Mains examination is scheduled from 2nd July to 6th July. Candidates appearing for the JKPSC KAS Re-exam can download KAS hall ticket from the JKPSC official website, jkpsc.nic.in. Candidates can check more details from the following article. Name of the Exam Combined Competitive Exam. The JKPSC is going to hire the aspirants into various posts based on their skill and performance in the written test. The JKPSC KAS Main re-examination is scheduled on 2nd July to 6th July. Aspirants applied for the JKPSC jobs can download JKPSC CCE admit card 2018 from 2 weeks before the examination (tentatively). The JKPSC KAS admit card will be accessible to download on JKPSC official website, jkpsc.nic.in. Candidates those have applied for KAS posts can Download Jammu and Kashmir KAS admit card 2018 to appear for the examination. Candidates can check the examination centre, date and time of the examination and other details from the admit card. Candidates can check their name, date of birth, scanned signature, scanned photograph from the hall tickets. If any spelling mistakes appear in any column, they can approach the JKPSC helpline for necessary corrections. All the competitors going to attend the JKPSC CCE Mains examination must carry the admit cards without fail. Also, candidates need to carry any valid identity proof Xerox copy along with hall ticket. The examiners are going to check the hall ticket and id card of the candidate. On the homepage, click on JKPSC KAS Admit Card 2018. Take a printout and save it at safe place to carry to the examination.